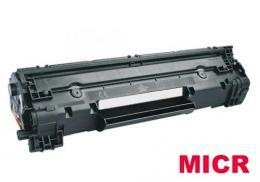 Canon 128 MICR (3500B001AA MICR) ImageCLASS MF4500 D550 MICR Toner - Compatible. Compatible with Canon FAXPHONE L100, FAXPHONE L190, IMAGECLASS D530, IMAGECLASS D550, IMAGECLASS MF4412, IMAGECLASS MF4420N, IMAGECLASS MF4450, IMAGECLASS MF4550, IMAGECLASS MF4550D, IMAGECLASS MF4570DN, IMAGECLASS MF4570DW, IMAGECLASS MF4580DN, IMAGECLASS MF4770N, IMAGECLASS MF4880DW, IMAGECLASS MF4890DW Machines. 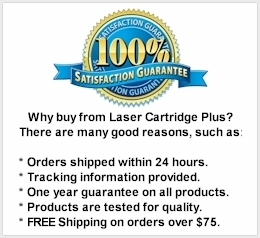 2,100 Yield, MICR Toner Cartridge. This advanced Canon 128 MICR toner formula makes for reliable, cost-effective and sharp, professional check printing. Enjoy low maintenance, trouble-free printing with this compatible Canon 128 MICR toner cartridge.